The Model 004 exhibits performance characteristics that permit it to be used in dual frequency applications when the 50/60 Hz coil is specified. (Please note that synchronous motors operate at 5/6 the 60 Hz output speed when operated on 50 Hz current.) The Model 004 can be used in conjunction with electronic circuitry to control its operation. By rectifying the input voltage to "half-wave", the motor can be stalled indefinitely. It is also highly tolerant of voltage fluctuations. In addition to the quick, reliable starting capability inherent in its design, it carries a stall torque rating of 112 in/oz at 1 RPM. VDE listed Model 004's are also available. 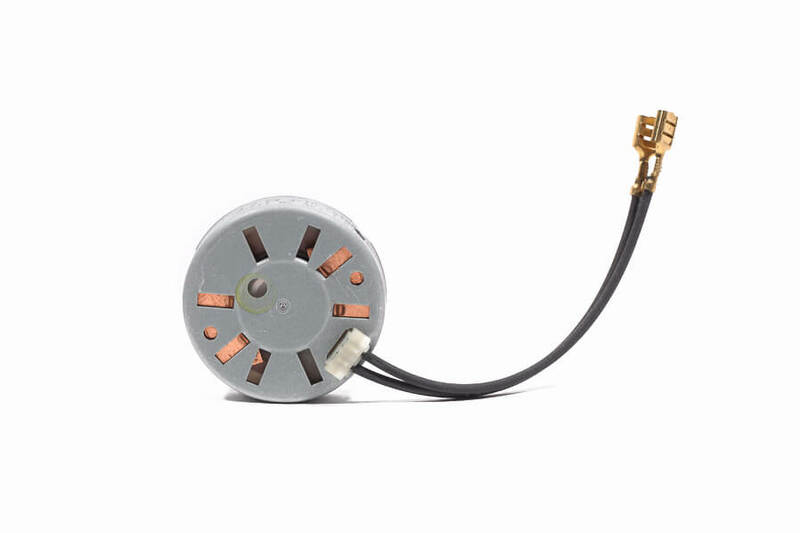 The Model 004 is a Class B motor rated to 125 degrees Celsius. Contact Midwest Timer today for more information. The Model 004 must be used with either The Model 70 (round) or The Model 80 (pear-shaped) Gearbox in order to achieve the desired output speed of the motor.